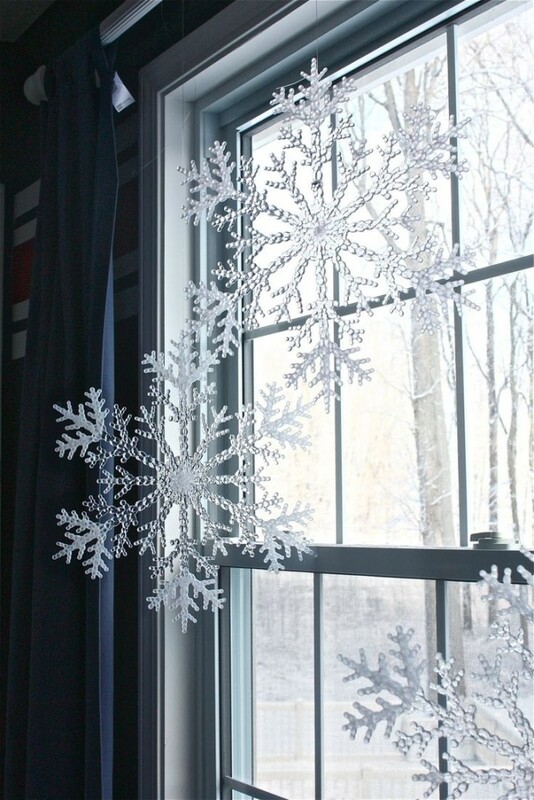 Got tired of making paper snowflakes? 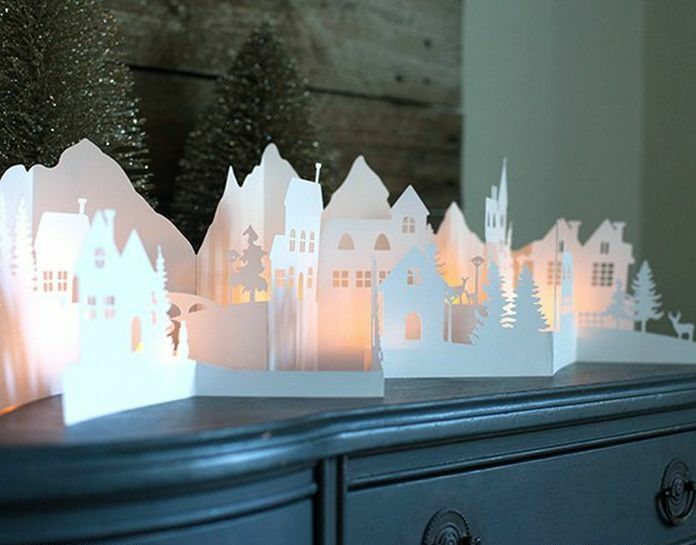 Cut out a cozy little town! Here you have to think ahead – wouldn’t it be too dangerous for your family members to try to catch this sweetness? 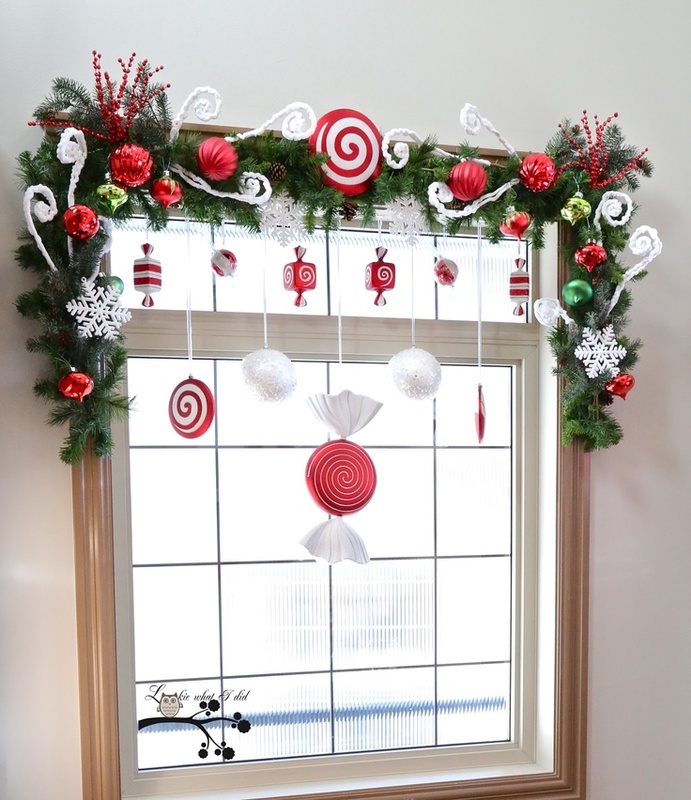 Traditional Christmas colors, shapes, and materials – very simple, laconic, and sweet! 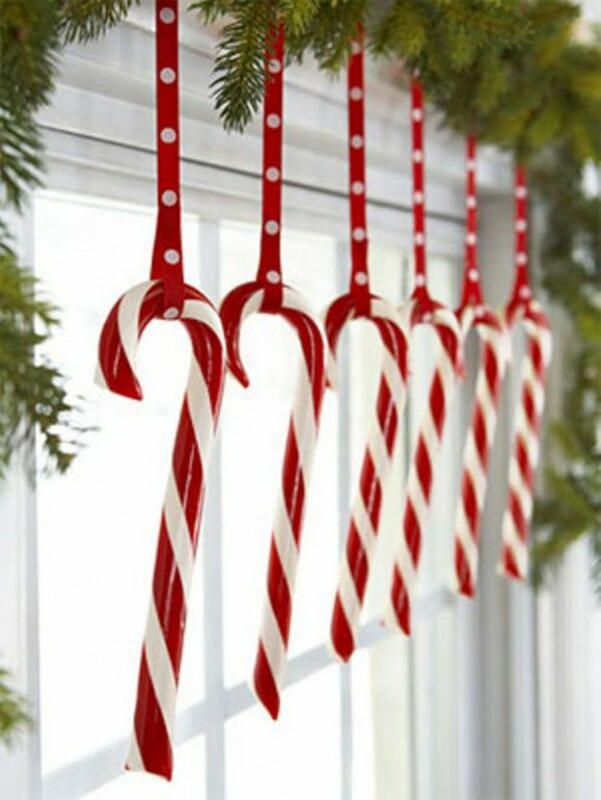 You are not a fan of candies, are you? 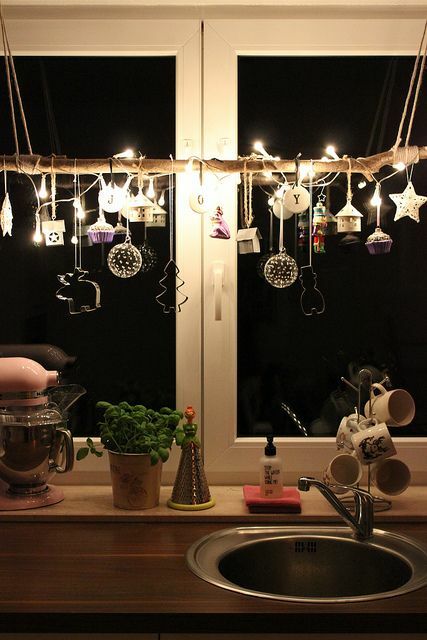 Then bake gingerbread cookies. They are not just food! 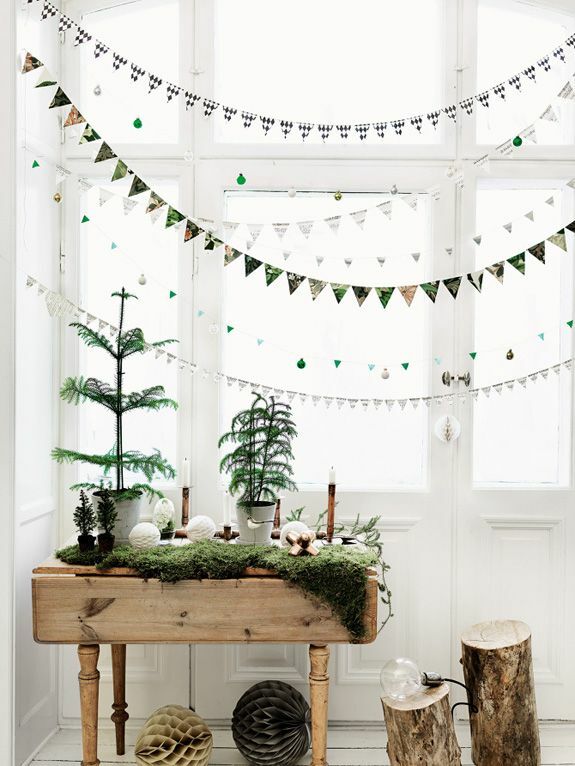 Good old flag garlands also deserve a comeback! 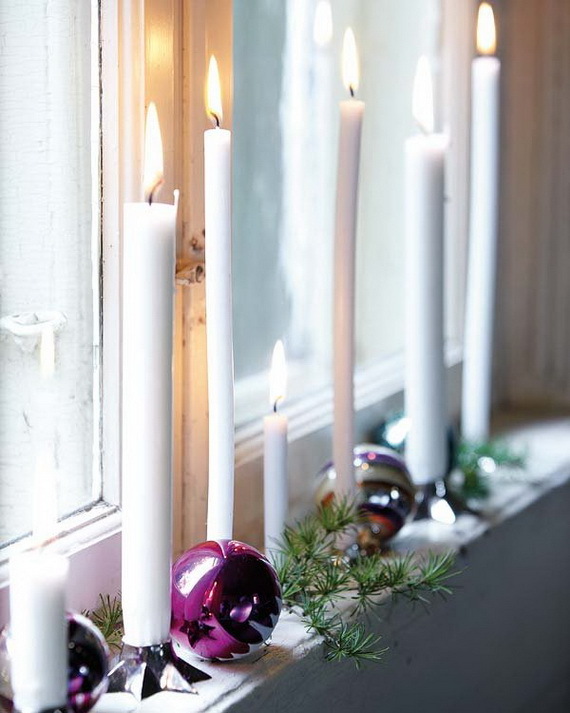 Christmas trees in your window composition can be artificial, but candles must burn for real. 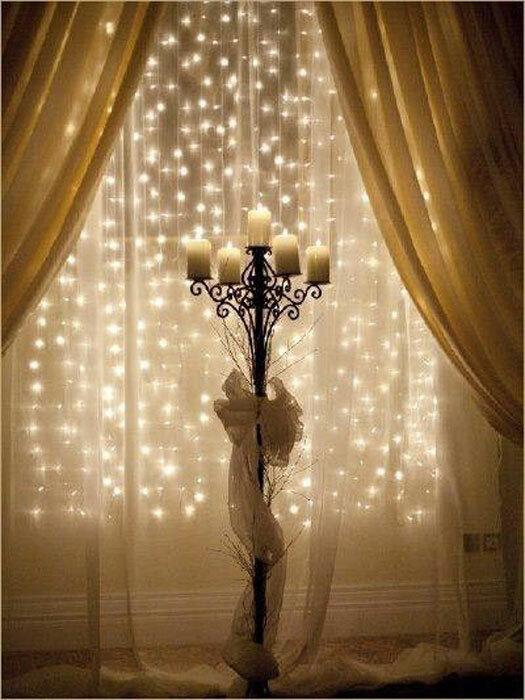 Just take care about your curtains! 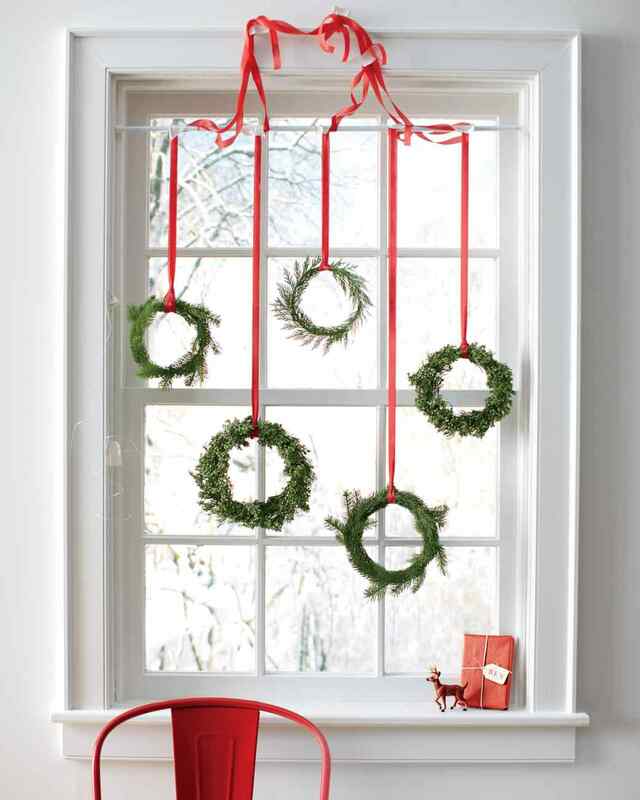 You can never have too many garlands! 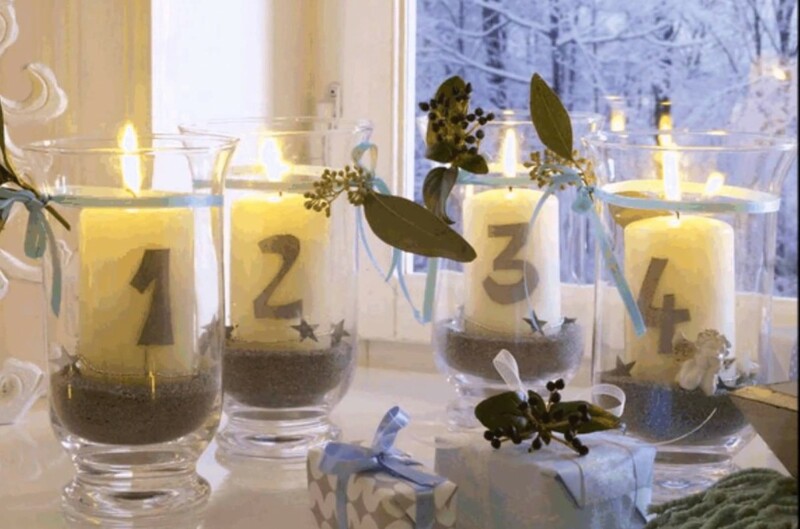 Add interest to your plain transparent glass Christmas ball: just use some glitter spray paint and a stencil. 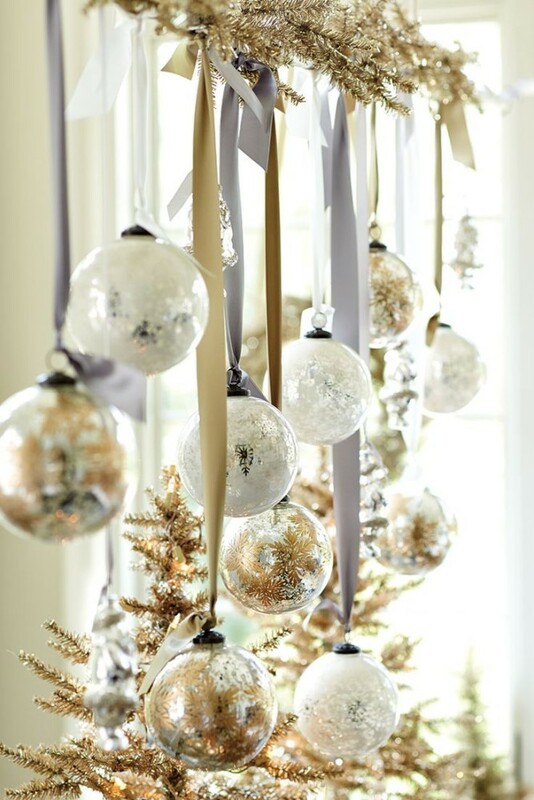 And if you have some paint left, spray it on tree branches to make them golden. 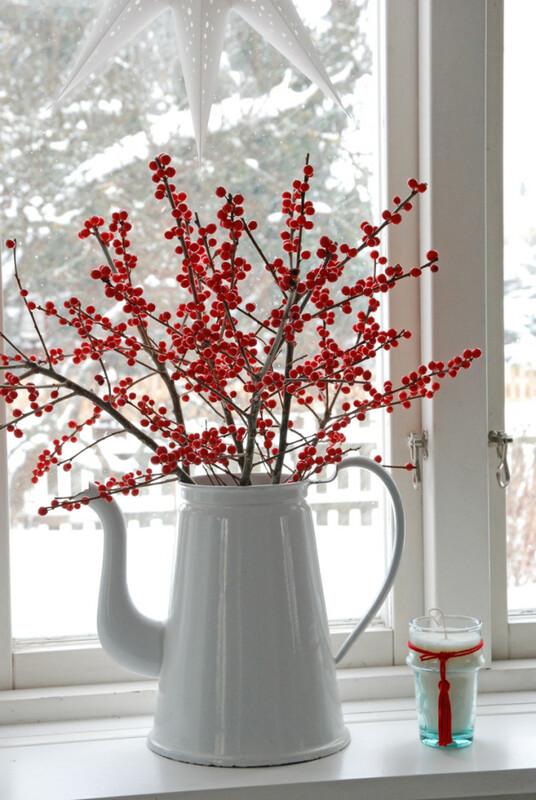 Fans of Scandinavian minimalism will definitely appreciate this composition: a plain white teapot with contrasting edible red berries. 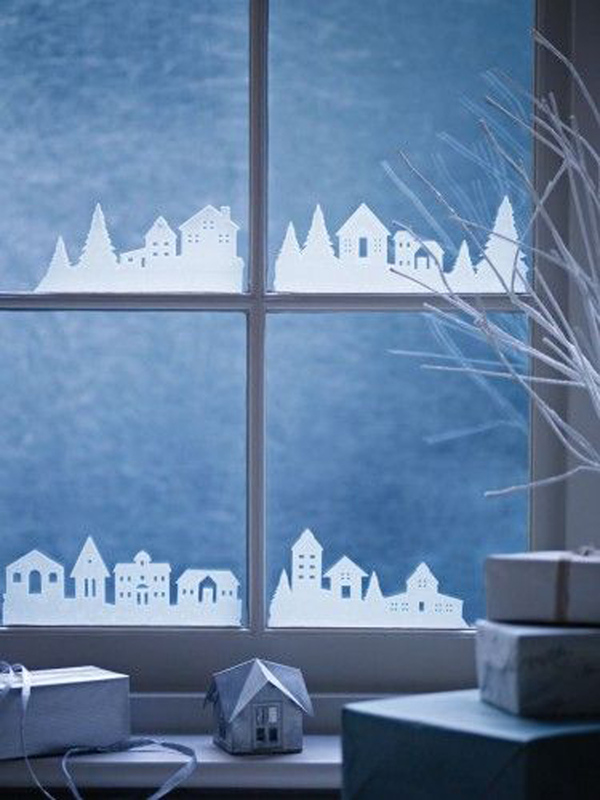 Do you love cutting out paper snowflakes? 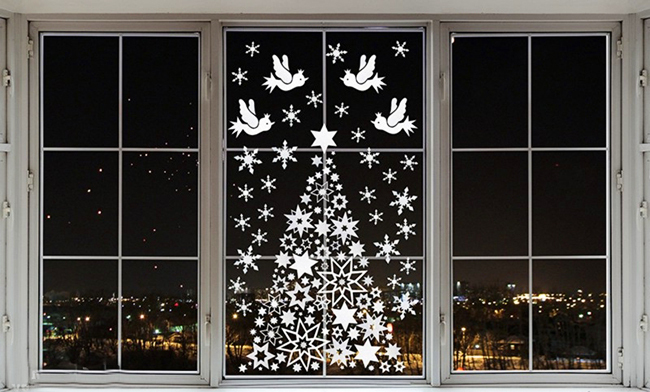 Make a window Christmas tree out of them! 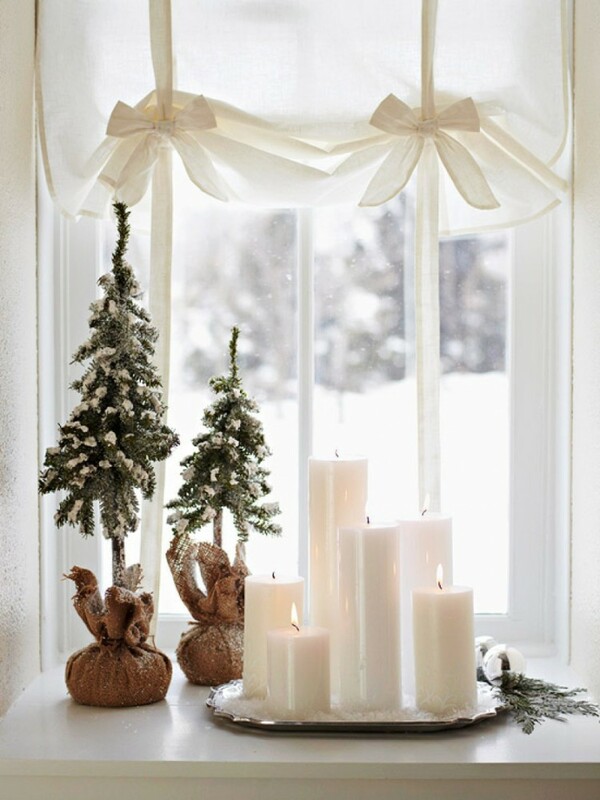 If you can do without blinds, arrange a common tree branch over the window and decorate it to your taste. 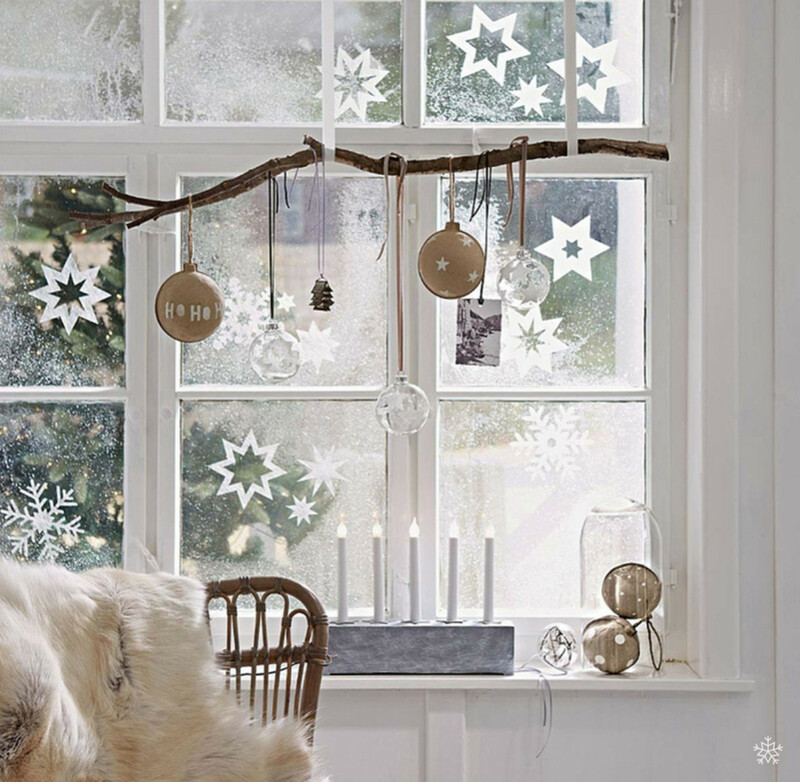 A simple and always up-to-date option with cotton snow is always welcomed. 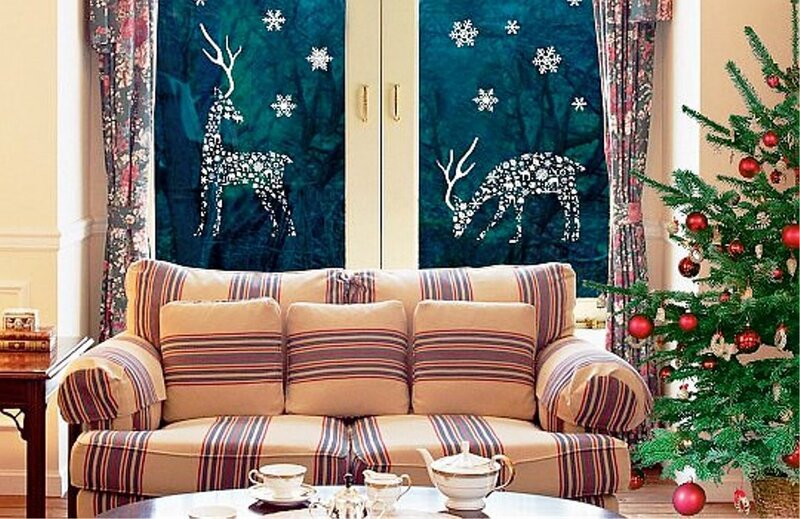 Do you lack Christmas tree decoration? 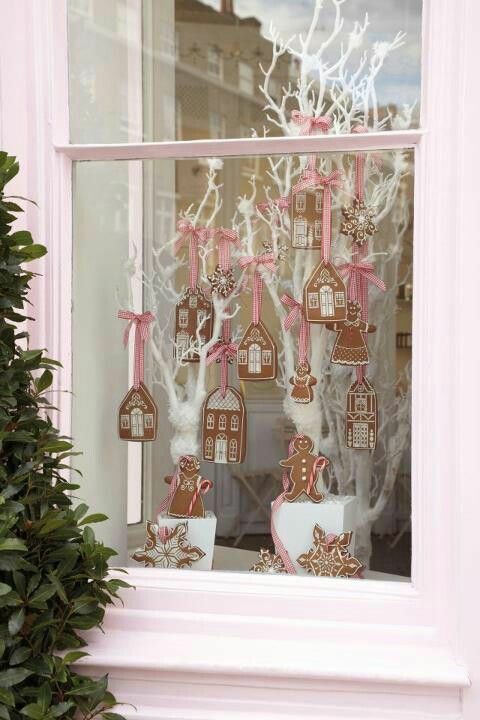 Use your cookie cutters! 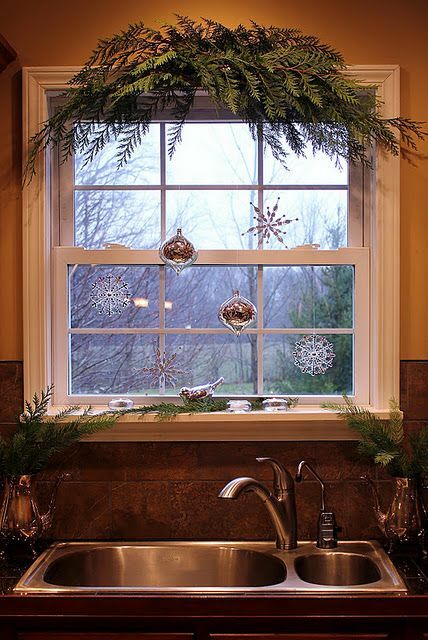 Artificial snow frosting spray also looks great on windows. If someone presented you giant snowflakes, which look awkward on your small-size Christmas tree, you now know how to use them. 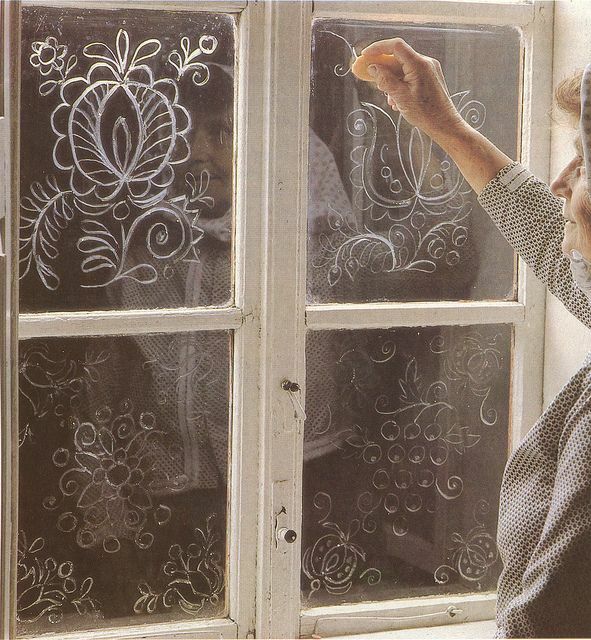 This old good method of applying winter frost patterns is almost forgotten. Well, don’t! 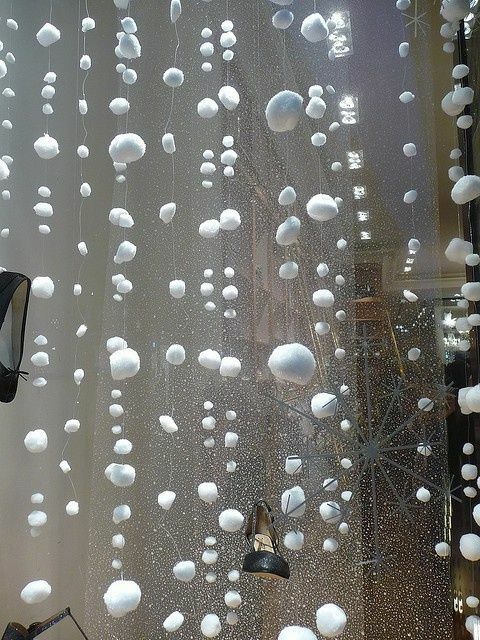 All you need is a soap sliver and some imagination!